In 2011, Congress passed the America Invents Act and took strong steps against a prolonged wave of abusive patent litigation. That legislation arose because by the early 2000s, patent troll litigation spiraled out of control, increasing 6-fold over the rate in the 1980s, and affecting almost 5,000 unique defendants each year. Researchers found that “patent trolls cost defendant firms $29 billion per year in direct out-of-pocket costs; in aggregate, patent litigation destroyed over $60 billion in firm wealth each year.” These losses were caused in part by abusive litigations practices, but mainly by poor-quality patents passed by the PTO. The AIA allowed parties to petition the PTO to take a second look at patents that were reasonably likely to have been mistakenly issued. That second look occurs through an inter partes review process allowing a challenge to patent validity on the limited grounds of novelty and nonobvious subject matter. The Patent Trial and Appeal Board reviews these patents administratively, without the expense of full-blown federal litigation. In addition, the Supreme Court’s decision in Alice clarified the meaning of unpatentable subject matter, prohibiting patent claims for merely doing things like arbitrage or meal planning “on a computer.” The new standard says that if an inventor proposes to use a computer or an app or a website to implement an abstract idea and nothing more, it's still an unpatentable abstract idea. The AIA and Alice are a one-two punch: the review procedures were important to clear out old bad patents, the new Supreme Court standard promised to dry up the flood of bad quality patents that had fueled the patent troll litigation binge. The poor-quality patents issued by the patent office are still in the wild, and the practices of trolls still remain a problem. For several years, the PTO vigorously implemented these new procedures and successfully weeded out low-quality patents that never should have been granted. Patent trolls got the message and began to shift away from the bigger companies who could use these new review procedures. In 2018, trolls have accounted for more than 80 percent of all patent suits involving small and medium-sized companies. If you think patent trolls have gone away, talk to David Selzer of Azure Farms in Oregon. He farms 2000 acres and sells his produce through a website. He’s in court for ignoring what seemed like a nuisance letter from a company he never heard accusing his website of infringing an obscure 2001 patent that would appear to apply to every website in the world. He has no money to hire an expensive lawyer to defend himself and so the patent troll simply assumed he would settle. For Mr. Selzer, the bald assertion in a recent speech by Andrei Iancu, the head of the U.S. Patent and Trademark Office, that the troll problem is “imaginary” must be surprising. His further comments that safeguards are no longer needed is disappointing, ill-advised and uncomfortably at odds with reality. His comments were uniformly hostile to the PTAB processes mandated by Congress, saying that they have “over-corrected and risk throwing out the baby with the bathwater.” He urged those who continue to suffer from patent troll abuses to stop “scaring inventors, entrepreneurs and government officials” with their “fairy-tales” of abuse. He urged those who want to continue to use Congressionally-mandated patent review processes to “stop attacking” the patent system. Here’s the problem: there’s no evidence that the current system is broken. Innovation has flourished in the presence of the AIA and Alice decision. The U.S. patent system is resoundingly healthy. Political and business leaders recently celebrated the granting of patent number 10,000,000. Since 2014, venture capital funding for startup software and internet companies is up by 88% compared to the three years prior. And in 2016, venture capital raised $41.6 billion for startups, the highest amount in 10 years. There is no question that some parties want to undermine the Supreme Court standard and the PTO processes that improve patent quality. Companies that make their living off of patent licensing have proposed statutory changes to the U.S patent law that would return us to the bad old days when patent trolls could take advantage of low-quality patents to engage in litigation hold-ups of genuinely innovative U.S. companies. Indeed, it’s a bit concerning that the case made by some groups to Congress for curbing the AIA’s procedures consisted of alleged facts that do not exist, as shown in this study from the Computer and Communications Industry Association. Evidence of the harm caused by the AIA seems to be so badly lacking that some advocates are just making it up. It’s as if he were arguing that a minimum wage law is no longer necessary because everyone is making above that amount now. The PTO Director’s argument that we no longer need good patent quality and review programs anymore because the troll problem is much diminished has the same air of swallowing its own tail. He appears to want to dismantle the very programs that have led to the decline of the troll problem. Here’s an example. He recently established a new standard for claim construction in PTAB proceedings, shifting from the “broadest reasonable interpretation” of a claim to the Phillips standard in which the “words of a claim are generally given their ordinary and customary meaning.” The BRI standard has been used, and will continue to be used, by patent examiners at the PTO. Its purpose is to reduce the risk that the words in a granted patent will be interpreted later in court more broadly than is reasonable. If PTAB must use the narrower Phillips standard in its review, they will be less likely to catch an overly broad patent. 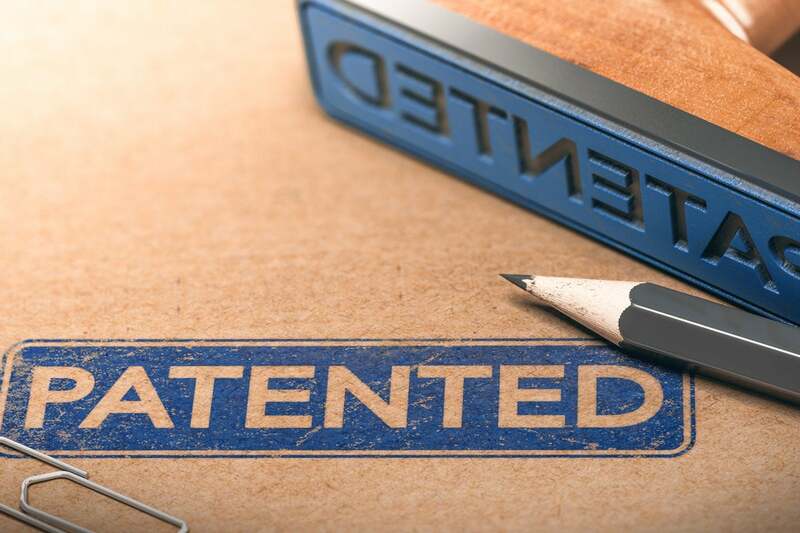 The reason for the change was explained as “potential unfairness.” There are plans afoot to weaken the process further by allowing patent owners extensive rights to amend their claims once they’ve been challenged. Moreover, his leadership on Alice is taking us in the wrong direction. PTO’s initial guidance to examiners for how to interpret the improved standard under Alice was effective in focusing attention on the need for there to be something genuinely innovative about a new process or method before granting a patent. But the PTO Director’s recent statements on revising the guidance seems more focused on undermining the Supreme Court standard than interpreting it. Congress should stay the course in the wise direction it set out in the America Invents Act. If it considers permitting alteration in what has been a successful policy, we encourage it to require reliable and verifiable evidence before doing so. As part of its PTO oversight function, we urge it to enquire into the facts behind these recent attempts to weaken the AIA processes. The existence of the patent troll problem cannot be wished away or dismissed as a fairy tale. And now the PTO Director’s own contribution to the troll problem should become an important part of the conversation.